One Year Anniversary! | how's it going, eh? Our one year anniversary has already come + gone!!! A year of traveling back + forth from Vancouver, Calgary + Los Angeles for the first year of our marriage! I hope those dark days of traveling back + forth have come to an end, because I’ve been spoiled by spending a majority of the summer with Jeff! Spending time with your new husband! What a concept! We have been so busy with the move from Calgary to Vancouver that we hadn’t even stopped to plan anything!!!! And of course, the day of our anniversary was the same day that Jeff started his new job. Luckily, it was just a meet + greet so he got off of work at a reasonable hour. Of course right when Jeff got home, he started mowing the lawn!!! This man cannot relax! 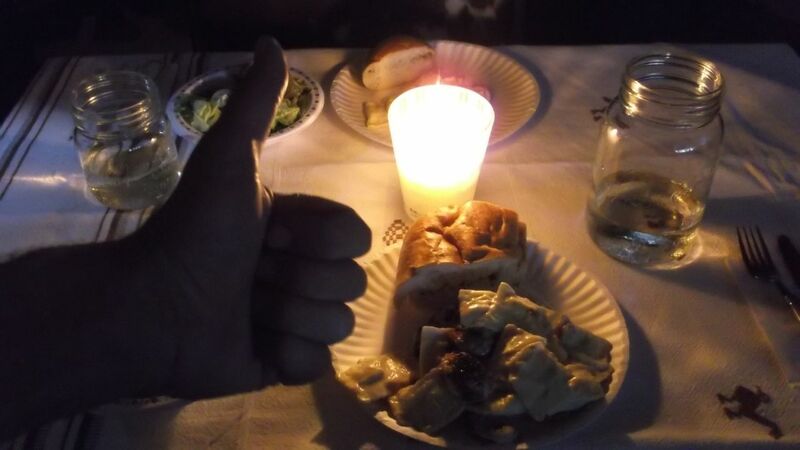 I lovingly put together a super basic pasta dinner with salad + garlic bread on paper plates with wine in mason jars. We had only been in our new house for 1 day, so I gotta work with what I got! And no, the candle is not for romance, necessarily. It’s due to the fact that we actually don’t have any lighting fixtures in the house yet. The dining table was a tablecloth draped over a piece of plywood + two rubbermaid boxes. For desert we had ice cream + little cakes that I bought from our favorite Vietnamese bakery. 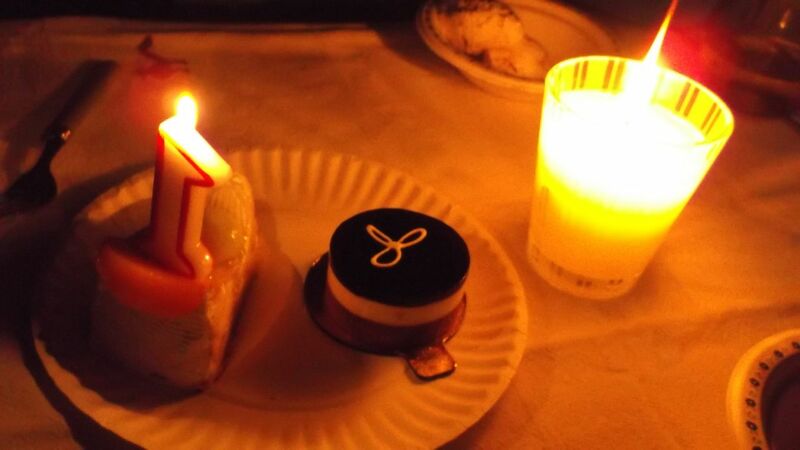 With a “1” candle from the market! Awwwwwww. The week plodded on with tedious projects to accomplish in our crazy house that I shall now name, “Sally”. 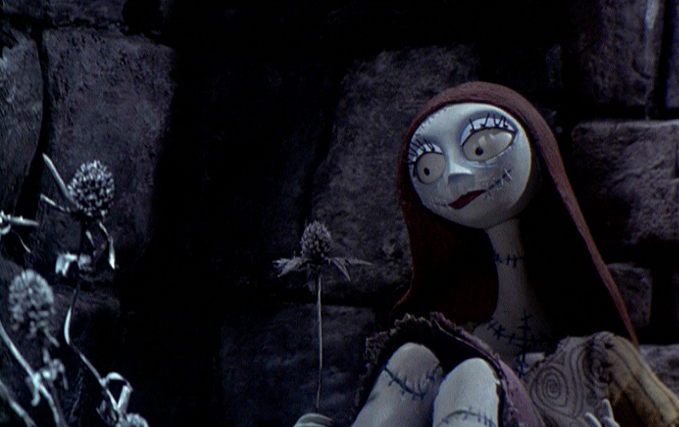 Sally is in reference to Tim Burton’s “The Nightmare Before Christmas”. Sally is a patched up rag doll who frequently falls apart, but she is lovely + sweet all the same – just like our new home. Over the weekend, Jeff + I drove south to Bellingham, Washington to officially celebrate our anniversary!!! 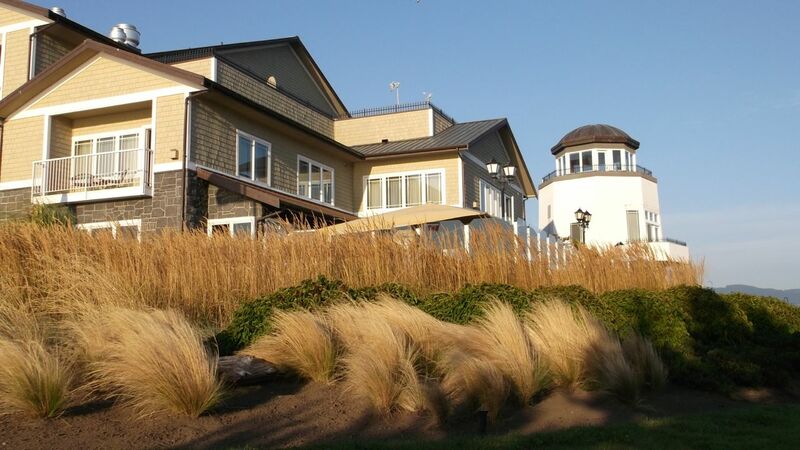 I made secret reservations at Hotel Bellwether during the week as a surprise for Jeff. What a great choice! Jeff was so ecstatically surprised!!!! 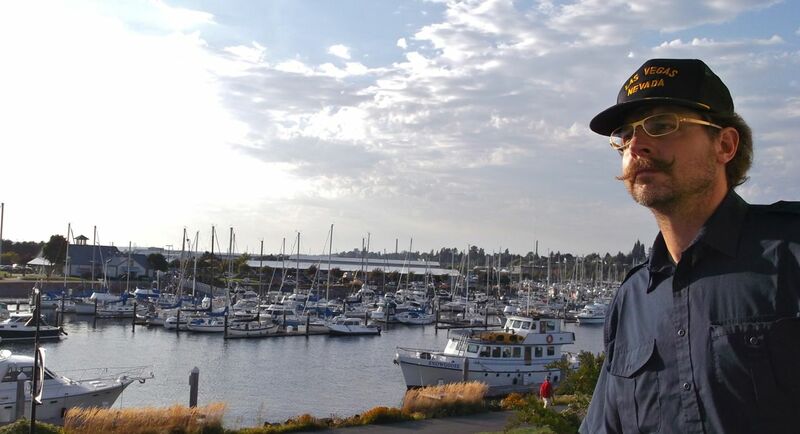 A view of the bay from our balcony – stoic captain’s pose, Jeff! An amazing, comfy kind size bed! 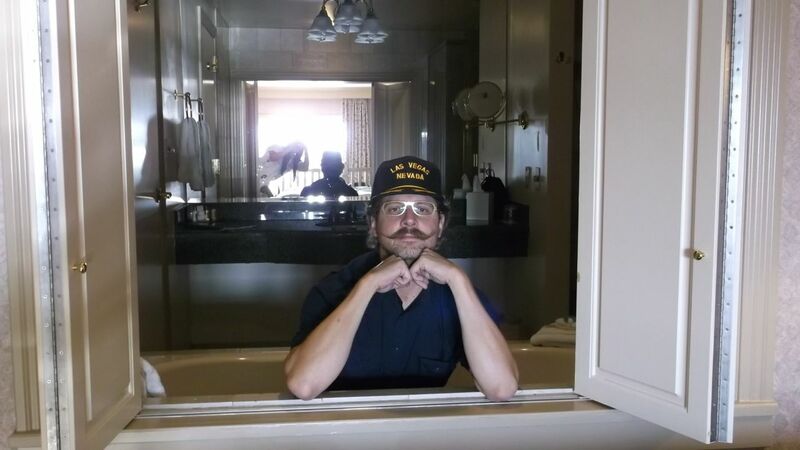 Don’t poop out yet, Jeff!!! Jacuzzi tub that opens up into the main room! We took a stroll around the grounds where there was a Cuban band playing to a large crowd, enjoying the late summer afternoon. 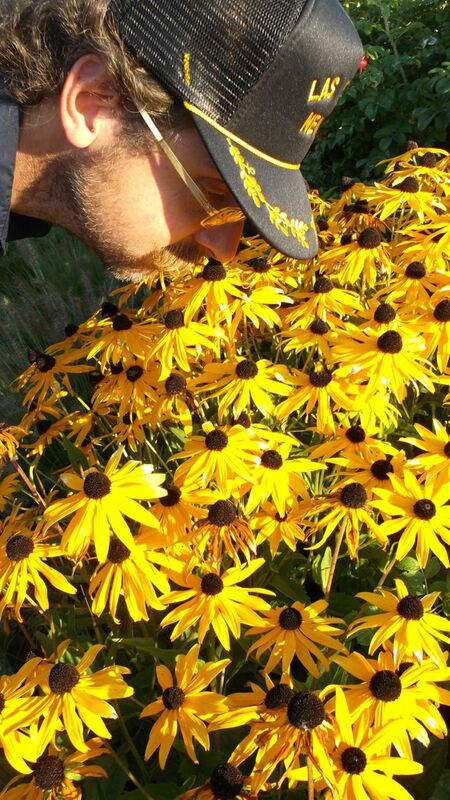 Jeff stopped to enjoy the flowers. An amazing sunset view of the bay from our balcony. Dinner was a 5 minute walk to Giuseppe’s Italian Restaurant. We were so starved that we forgot to take a picture at dinner. Don’t bother with the cioppino, but definitely get the Fettuccine Giardini Naxos!!!! A seafood fettuccine tossed in a yellow curry sauce. Sound unorthodox, but it was soooooooooo yummy!!!! 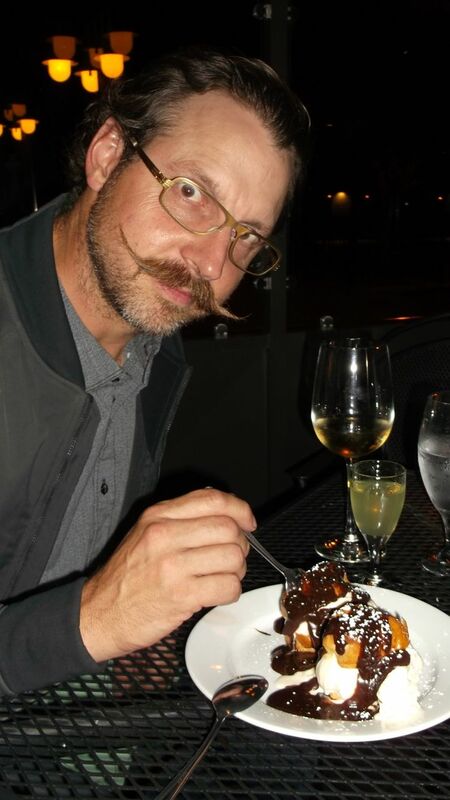 Here’s Jeff enjoying the Profiteroles – chocolate mousse filled cream puffs. Num. 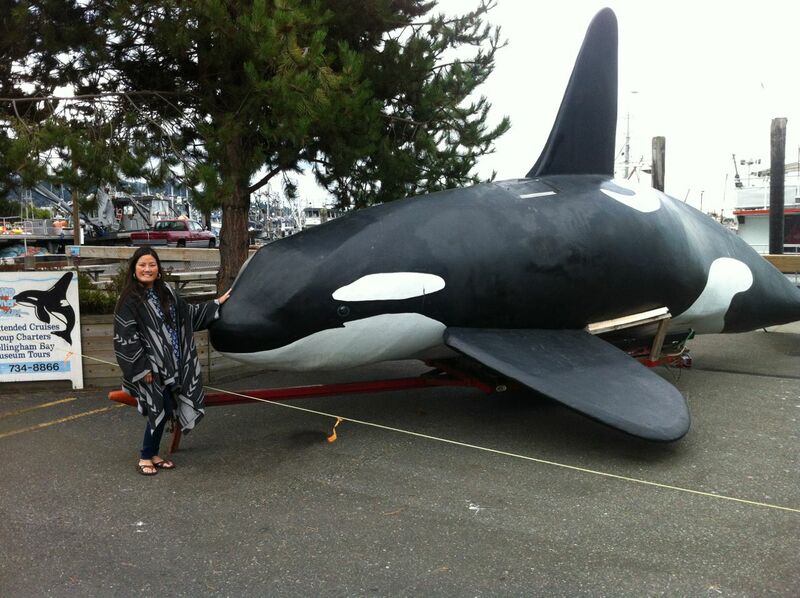 Gotta have my picture taken with an orca. Thank you, Pacific Northwest for embracing me into your wet + chilly, yet somehow warm folds. 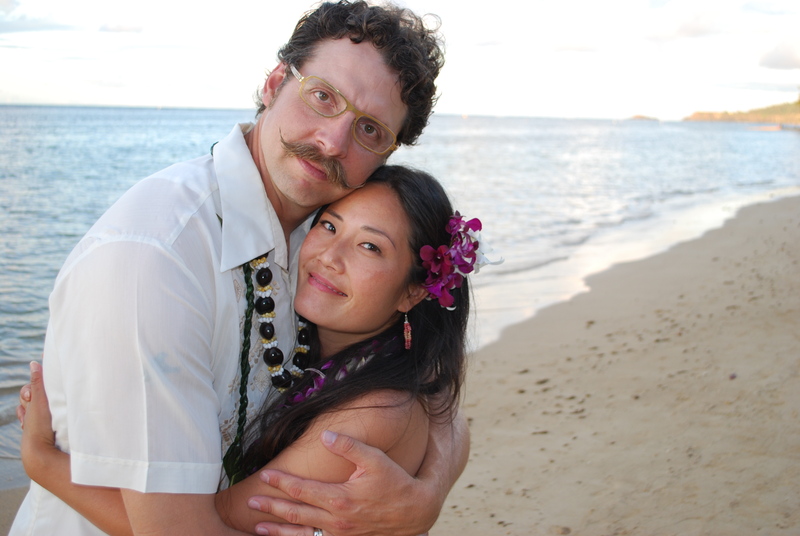 I can’t believe it’s been a year that Jeff + I have been married! We are the best of friends + love having adventures together, scrapping + getting into mischief!!!! I know together we will NEVER be bored. It’s always crazy – but a dull moment does not exist in our vocabulary!!!!! I can’t wait for all the ultimate wacky antics that our next year will hold!!!! ← Officially in Our New House!!!! Yay – So happy for you guys!… I am always kind of jealous of the fun adventures that you are frequently going on. You two definitely work hard and play hard – very inspiring! Awwww!!!! I feel like the work hard + play hard is going to catch up on us soon!!!! I’m jealous of all the SoCal adventures your family are going to have! What a great place for the girls to grow up!!!!!!! Happy Anniversary!!! Love your special dinner at home with the plates and mason jars … very newlyweddish! Cheers to many more amazing, fun and wacky adventures together. Wacky, for sure!!!! One thing is for certain – we’ll never get bored! Thanks, Deb!!!! soon, we enjoyed having U home AGAIN, Mahalo!!!! !